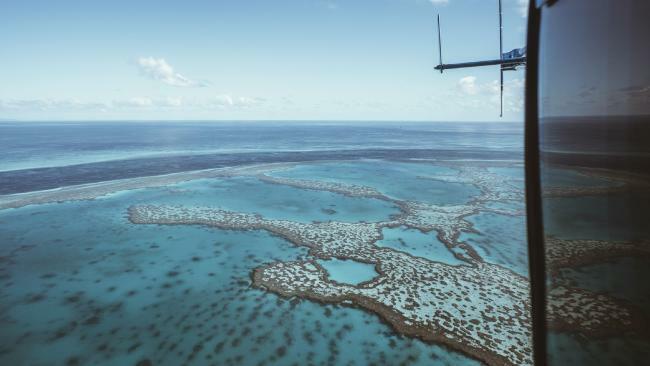 IT SEEMS like the dream job: flying over the pristine Ningaloo Reef, weaving through vast canyons in the Kimberley and giving tourists an adventure they won't forget. But underneath that scenic backdrop, general aviation pilots are crying out for help, saying they are overworked, underpaid and constantly fatigued due to long working hours. The four pilots who spoke to news.com.au chose not to have their names published because they believe speaking out about working conditions is a career-ending move in this tiny, high-risk game. One pilot told news.com.au: "You're basically knifing yourself in the back". Michael*, 33, worked as a helicopter pilot in the outback for six years. "It's like any job that you start out in, you have to go to some s**thole town or the middle of nowhere for a few years before you get lucky and get transferred out," he said. For Michael, work in the Kimberley typically meant spending at least two months away from home, camping in the sweltering desert with no aircon, loved ones or entertainment. He would work six days on, one day off, for two months straight - which adds up to 56 days' work and only six days' rest. "They flew in food for us once a week and we'd have a bit of power, a few solar panels and a generator but that went to light not to keeping yourself cool," Michael said. 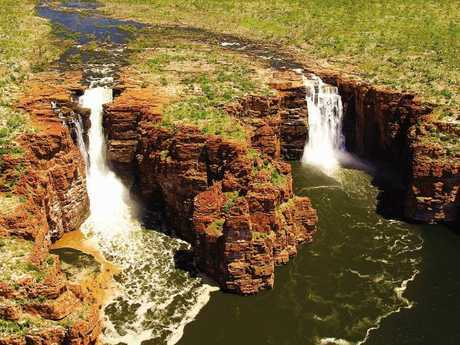 King George Falls in the Kimberley, a popular tourist attraction for scenic flights. A general aviation licence can easily cost budding pilots $100,000 but a typical graduate struggles to earn $50,000. The meagre salary, coupled with the huge hours, left pilots mentally and financially stressed, Michael said. "You're away for two months at a time and getting paid $45,000 a year for working 12-hour days, so of course there are lots of mental health issues because you're so isolated and exhausted," he said. Australia issued 1200 pilot licences last year, a drop from the 1600 issued a decade ago. Meanwhile, the industry is crying out for more pilots, with Boeing estimating 640,000 are needed in the next 20 years. "You see all these people talking about there being a pilot shortage but it's not rocket science - nobody wants to spend $100,000 to live in a box in Katherine," Michael said. Michael said he should work a maximum of 48 hours a week under his licence - split between flying hours and additional duties, such as maintenance - but usually worked more than 60. "Every pilot that doesn't work at Qantas is being underpaid at least seven hours a week. Everyone is doing 45 hours if not 70 a week," he said. "But we're all passionate and want to climb through the ranks and start our career." Michael was compelled to speak out after news.com.au's recent coverage of the poor conditions of fly-in-fly-out miners. "I get they have it hard and they're in dongas in the desert but we're in the exact same isolation, with no airconditioning and no power. If you're hot and sweaty, tossing and turning all night, are you getting proper rest?" he said. Other pilots told news.com.au they were stuck for the first five years of their career. They need to pay off their $100,000 licence debt and build flight hours - all while keeping their mouths shut about the conditions. These pilots aspire to nab a lucrative job flying for big mining companies, but they typically require pilots to have logged at least 2000 hours before employing them. The romantic side of being a pilot - a job that sees them fly over Australia's most scenic spots on a daily basis - leaves pilots feeling like they can't speak up. "Your parents go to the Kimberley and take a joy flight with a pilot getting paid $45,000 a year who's been living in a tent for months but there's no visibility on that," Michael said. "We're told, 'You're a helicopter pilot you should love your job and shut your mouth'. We're told by our bosses we're peasants because they know it's a career you're passionate about and one you have to cop sh*t in for five years to actually make it somewhere." Another pilot Chris*, who had eight years' experience, described tourist flying as "entry-level, foot-on-the-bottom-of-the-rung-type jobs for pilots". He is often told by his employer "do this or I'll replace you by lunchtime". "I've had mates that spoke up that conveniently never found a job in Australia ever again," he said. 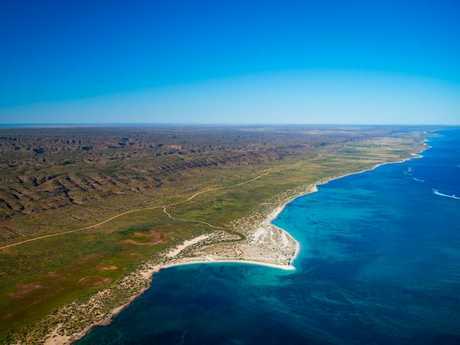 A third pilot, David*, who's worked in the tourism industry for eight years, completes up to 10 flight a day to Ningaloo Reef in Western Australia. "I'm on $48,000 a year and when you crunch the numbest that's a sh*t hourly rate for a job that demands so much and is so risky," David said. Michael said plenty of people did the job because it was "cool", but that shouldn't mean they have to deal with poor conditions. "Try and tell a lawyer working in a high-rise office overlooking Sydney Harbour that he shouldn't earn six figures because he gets a 'cool' view. I'm sure they'd agree with that," he said. Australia has seen a number of tragic deaths over the past year involving small aircraft and 80 per cent of flight accidents are caused by pilot error. 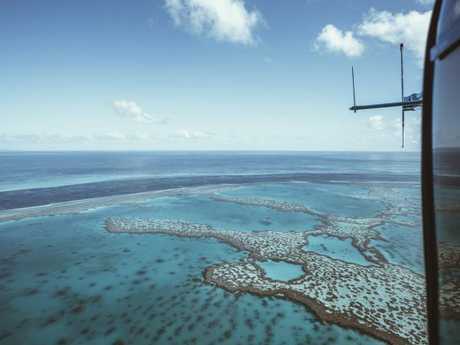 Chris said completing up to 10 scenic flights a day put impossible pressure on pilots. "People say flight accidents are because of a pilot's experience level but a lot of the time it comes down to fatigue and unsafe conditions," he said. "It's a very safety-critical industry but sometimes things get blurry and that can lead to serious or even deadly consequences. "You're told to do the job, don't use too much time on the aircraft and get the job done as quickly as you can - that causes people to cut corners and make mistakes." David said: "I know mates than have been involved in accidents and are lucky to still be alive today. Yeah they made a mistake but they were working more than 60 hours a week, of course they were going to." In a statement, the Civil Aviation Safety Authority said working hours differed depending on the aircraft and carrier pilots worked for. "CASA has a robust set of fatigue requirements for all air operators. These are currently being updated to make them even more effective in safely managing fatigue in all aviation operations," a spokesman said. "There is no 'one size fits all' regulatory requirement for fatigue management. This means the way fatigue is managed varies across the aviation industry. CASA does not require small charter airlines, for example, to meet the same requirements as a large airline. "It is difficult to assess the examples provided as the air operators are not identified. However, if the pilots contact CASA we will take appropriate action to review their concerns. "CASA encourages pilots with concerns about fatigue management to contact us so we can ensure the practices they are working under meet the fatigue requirements. "Confidential reports about safety concerns can be made to CASA and these will be acted on." The spokesman said confidential reports about unsafe practices could be lodged here and here. News.com.au put questions to pilots union, the Australian Federation of Air Pilots, but it is yet to respond.